The law firm Hemmer DeFrank Wessels on Tuesday wrote a post on its website that said attorneys Lin Wood and Todd McMurtry have filed the lawsuit on behalf of Nicholas Sandmann against the newspaper for "compensatory and punitive damages." "This is only the beginning," the law firm said. A Washington Post spokeswoman told CNN Business that the paper is "reviewing a copy of the lawsuit and we plan to mount a vigorous defense." 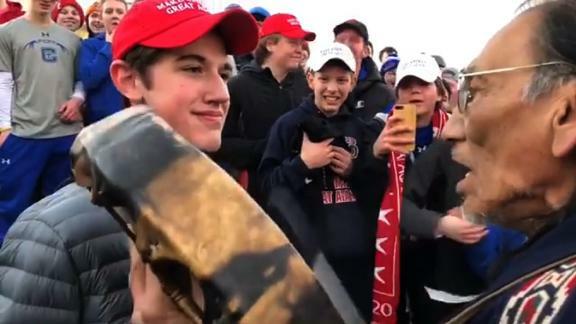 "I was not intentionally making faces at the protestor," Sandmann said. "I did smile at one point because I wanted him to know that I was not going to become angry, intimidated or be provoked into a larger confrontation."